Last week The Irish Times claimed to be “the first to identify and rank the main movers in Irish education” in its list of the fifty most influential people in education. This is indeed an interesting task to take on because if we know who shapes education, we know who influences the next generation of Irish citizens and who thereby leaves a substantial legacy behind them. Wasn’t it the late Bryan MacMahon who wrote that over a lifetime a teacher leaves a mark on three generations in a town or village? But MacMahon was writing at a time when the potential influence of the village schoolmaster’s wisdom or tyranny had fewer competitors than exists today. Mobile phones, video games, multi-channel TV, the Internet and so on have diluted the influence on a community of the village schoolmaster or schoolmistress. 1. How is education defined? Is education considered to be what happens in formal settings such as schools, colleges and universities or is it something broader? If it is about how one generation hands on its wisdom to the next generation, then it is more than schooling. If a broad view of education is taken, parents must be considered to be powerful influences on their children and on what they learn. This influence differs and is most likely bigger and more lasting than the influence of parents as political players in education. 2. Is the influence positive or negative? Simply having influence is hardly a virtue in itself. Influence can be used for the betterment or the detriment of education. Sometimes we don’t know at the time if an influence is for good or ill. However, some assessment (however partial) of an influence as being constructive or destructive would increase the credibility of a list of the most influential. 3. Is the influence on policy or practice? Policy emerges from political parties, civil servants, advisors and consultants, advocacy groups, and so on. However, as Suzanne Wilson points out in her book California Dreaming, policy does not always travel like an arrow directly to its target. Just because a new curriculum is introduced, for example, does not mean it is widely implemented. Many reasons affect whether and how policies affect practice. Some can have widespread immediate effect (such as the implementation of the Croke Park hours) whereas others can have unintended consequences (the abolition of university fees has been blamed for starving universities of funds). So although policymakers can seem to have influence, this may or may not be true. Direct influence on practice is more difficult to measure because it happens on a smaller scale. But if something occurs in lots of classrooms throughout the country, practice can exert a powerful influence on the system. Textbooks and widely consulted websites are examples of this kind of quiet but strong influence on practice in education. 4. Is the influence currently evident, or is it an influence that will be experienced in the future? In many cases, someone who is currently active in education, or whose term is short, may make lots of noise but may have little influence after their tenure. It’s a bit like the imprint left in the water by someone who puts both arms into a bucket of water and waves them around for a while before removing them. The one to watch is the person who is planting seeds that will endure long after they have left the scene. The difficulty for someone compiling a list is to differentiate between the two. 5. If the influences are ranked, how is the extent of one influence differentiated from another? 6. Given that education changes slowly, can influences from the past be counted if they still shape the education system we have today? The education system we have today has been influenced strongly by its history and by important players over many years, in and outside Ireland. For example, the influence of Donagh O’Malley’s decision to introduce free post-primary education can still be witnessed today. 7. Who can be considered and who cannot be considered? Many people who are influential on the education system are not included because they are not known outside a particular constituency. This may be an inspirational teacher or principal, the director of an education centre who organises high quality professional development for teachers, or a union representative who is insightful, in touch with the grassroots membership and who has the courage to lead, and other paid and voluntary contributors to education. Because such people go about their work quietly, they may be unnoticed by those outside their sphere of influence. On the other hand, those with newspaper columns, press officers, websites and other communications technology at their disposal are more likely to be noticed, even if their actual influence is not as extensive. 8. If a person is named, is it the person or their position that is influential? Some people may be considered influential because the position that they occupy is considered to be influential. Sometimes people are appointed or elected to positions because they are considered to be influential. However, people are often elected or appointed because they are a “safe pair of hands” and are unlikely to “rock the boat.” How can a person be separated from their position in determining their influence? In other words, is the “Minister for Education and Skills” the influence or is it “Ruairí Quinn” as the current incumbent? This is not an easy question to answer but one that needs to be addressed if a list of influences is to be compiled. 9. Does the compiler of the “main movers” declare any interests that might affect the selection of the influential? In order to be above reproach, anyone who compiles a list of the most influential needs to declare any interests in order for the list to be credible. For example, if colleagues, friends, or advertisers in the newspaper are included, this should at least be pointed out. And possibly such people should be removed from consideration. 10. Are only those with a physical presence in Ireland considered? In a country as small as Ireland, educators draw widely on the work of international scholars. 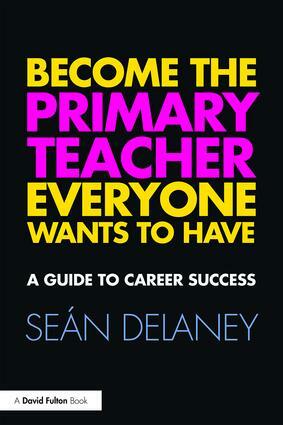 For example, over the last three years, the Reading Association of Ireland has invited world class U.S. researchers (Peter Afflerbach, Timothy Shanahan and P. David Pearson) to address their annual conferences and these speakers as well as being inspirational, influence many teachers and teacher leaders who, in turn, influence others. Although these experts are little known outside their specific areas, they can exert quite an influence on our education system through their talks, their websites, their books and their articles. Finally, what about omissions on The Irish Times list? That’s something that could be discussed forever. But I am surprised that at least some of the following did not make the list. This entry was posted in Education Policy, Practice of Teaching. Bookmark the permalink.